Winter Vocabulary is such a broad area and can have so many different meanings in so many different contexts. So just to make it clear. I have aimed the activities on this page to very young children who are just starting out on the long and difficult journey of learning to read. I hope that the ideas and resources on this winter vocabulary page will be useful in helping to make the learning of words and sounds more enjoyable. Consequently allowing the children to see the process of learning to read in a more positive light. So please dip into my page of winter vocabulary and enjoy the activities with the children! The topic of holidays always gets the kids going so I usually begin this game by asking them if anyone has ever been to a really cold place for their holidays.There's always one that has been to the north pole! So that's where I start! We discuss what they think the North Pole would be like and the sort of clothes we might need to take with us. You could make a list on the board to familiarise them with the words for later occasions. 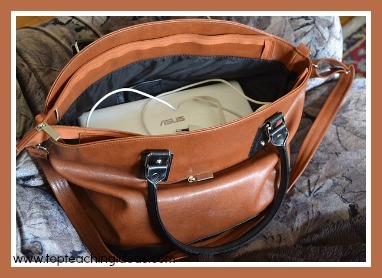 Then I pretend to put it in the bag. I pass the bag to the next person who will do the same thing but with a different article of clothing. You continue round the circle until every child has had a go. The rule is that you are not allowed to repeat anything so the last child has a difficult job! For older children you can accumulate the clothing so that the second child has to remember the first bit of clothing as well as his own and so on until you come to the last child who has had to memorise all the clothing in the bag! Then, bag packed, we pretend to get on the magic carpet and off we go to the North Pole! 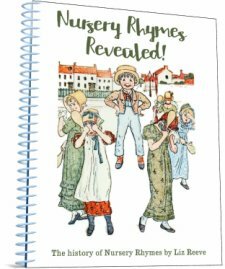 Acquiring an awareness of rhythm and rhyme is an essential part of the reading process. This game was a firm favourite with my children and became a daily ritual! With a small group of children ask them to sit in a circle. 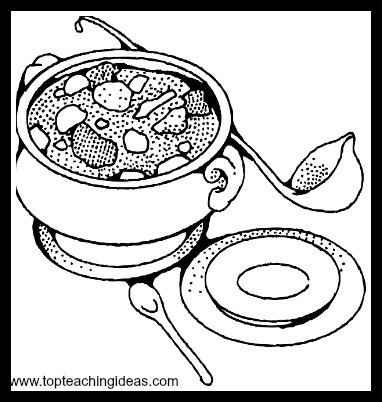 Using a bowl and spoon as props, invite the children one at a time to choose an object from the middle of the circle to add to the soup. After each item sing the song. And make it nice and chilly! 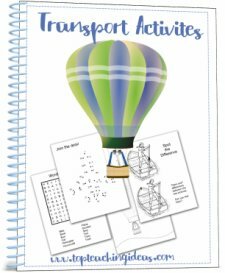 When the kids have got familiar with the routine, you can dispense with the objects and get them to think of their own strings of rhyming words. 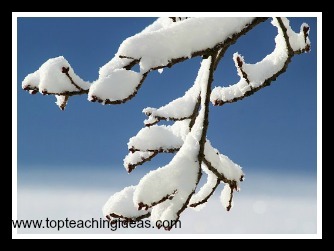 See how many winter vocabulary words they can come up with before starting again. If you're doing a theme find word appropriate to that theme such as coat or boots for a winter theme. 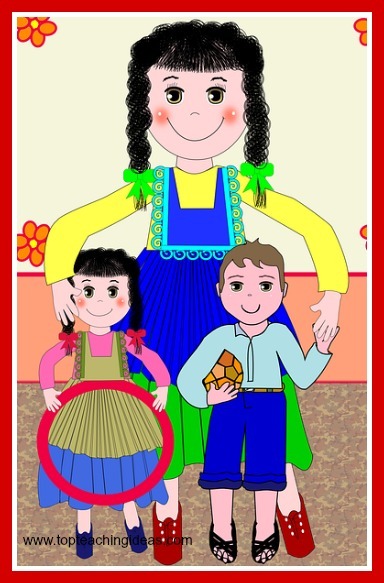 Rhyming games help familiarise the kids with the endings of words. Alliteration gets them tuned into the initial sounds. This is not necessarily a winter vocabulary game. It can be used at any time with a small group of children to help them to get to know the names of the other children in the class. I- Spy someone whose name begins with 'W'. I wonder who it can be? William stands up and then he takes on the game. If the children are not familiar with the other pupils in their class you can carry on being the leader. I have a puppet called Nutty. He is an orphan squirrel. He has been used in many difficult situations including encouraging reluctant pupils to come and join us for registration! He often disappears for long periods of time too, which gives us the opportunity of talking about animals that hibernate for the winter. 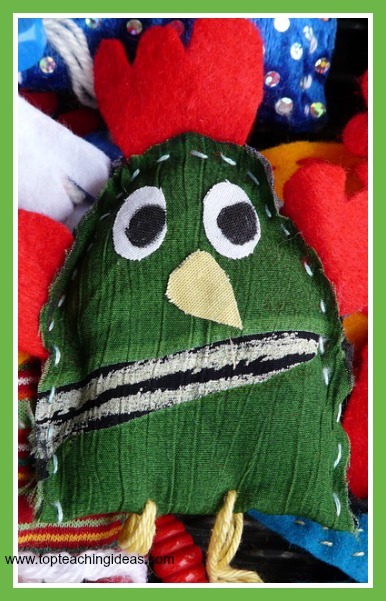 This winter vocabulary idea uses a puppet such as Nutty to help children blend and segment the sounds in simple words. It can only speak in sound talk. Then ask the children if they think they could speak in ,sound talk'. Say the segmented word again and ask the kids to repeat it after you H- A- M.
Ask the puppet again what else it would like for lunch. Take care to choose words that have single syllables only such as fish,soup, cheese and cake. To make it relevant to your winter topic you could talk about clothes 'he' could wear on a cold and frosty day or what things 'he' likes to do when 'he' goes on holiday. As the kids get more confident with it make deliberate mistakes for example say S-K-I-M instead of S-W-I-M.and see if they notice. Then you can ask them to correct your mistake. Involve the kids by getting them to ask the puppet questions themselves. With practice the kids begin to hear the different syllables in words thus making the reading of new words more possible. Another fun way to increase vocabulary (and spelling!) is to use word searches. Children love to find the words in the grid. 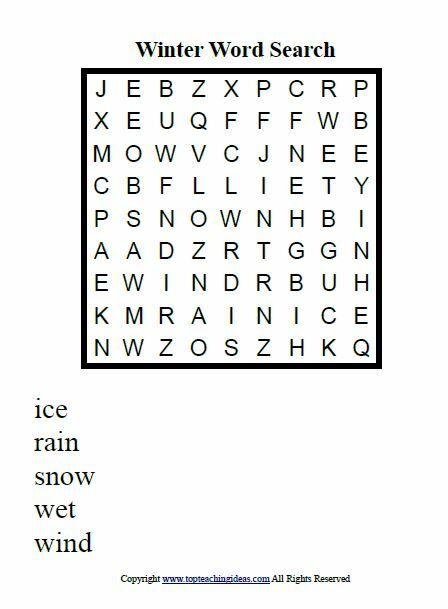 You can download my winter word searches below.